“We didn’t cross the line. We erased it.” ~ Simon Cleveland, Ph.D.
That phrase – ERASE THE LINE – has come to mean so much to me in so many different ways. I hate compartments and boxes and limits and being told what I don’t get to have. So I keep reaching for new ways to follow my heart, to experience life, to engage in a high octane, full throttle, 8-cylinder lifestyle. It’s exhausting, but for me, for this time I have on earth with him, it’s worth it. I fail at life every day in so many brilliant ways, but at least I’m still here. Still being played most of the time, but at least I didn’t succeed at giving up. 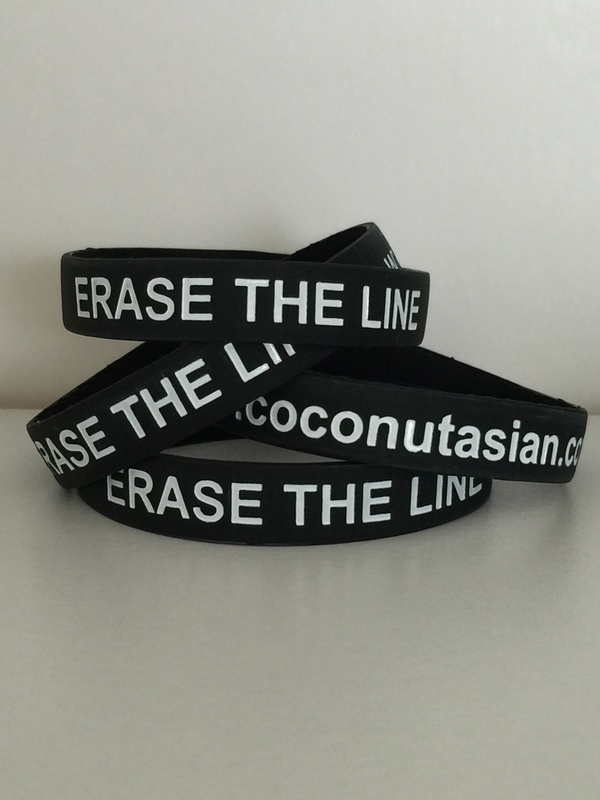 So, to answer the texts, emails, and messages asking me about it, that’s the story — that’s the reason, muse, and rationale behind my ERASE THE LINE wristbands. What does ERASE THE LINE mean to you? I’m so super excited to debut the wristbands with my newest book, BLURRING THE LINES, a Men of the Zodiac series novel. He broke all his rules… for her. He hadn’t lost his breath over a woman in a decade. Perhaps longer. And yet, here he was, staring at the animal-rescue-volunteer-dog-walker who’d reprimanded him for needing a triple shot of espresso. His whole brain lit with quips and comebacks and ways to lure her into his… life. The last thing he’d expected was facing Kira in his office with her monologue about saving a building. But in the face of his brother’s morning lecture, an idea formed. “Very,” she said, her brows drawing together. She was pretty, even when she frowned. This idea forming in his head had disaster written all over it, but he couldn’t help himself. As always, thanks for stopping by! Thanks for finding me!